I don't like to think I'm a racist either. But I knew enough walking into our Community Hall with all of our 7th through 12th graders to know that the film would be reminding the three of us - and the rest of our community - that those of us who are white face the hard truth of being consistently advantaged by institutional racism. Not because we are bigots, but because of the way our whiteness allows us to benefit from the racist structures of our society. 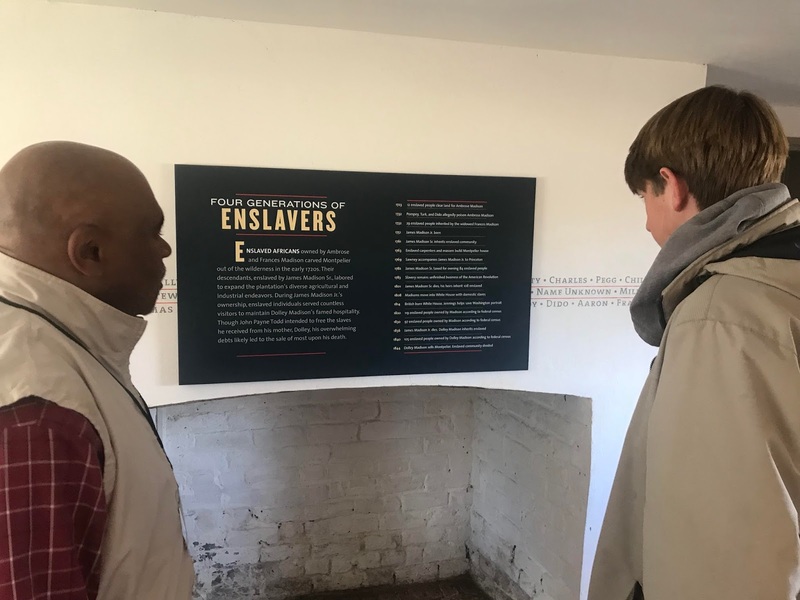 As Upper School Director, I sit in my office, which at one time was slave quarters on the property where our school is situated on a hilltop overlooking Charlottesville, Virginia. I can nearly see Thomas Jefferson's Monticello from our campus. The weekend before school started this fall, our town in central Virginia became a national news story and an infamous hashtag in response to aggressive white supremacist rallies that lead to horrible acts of violence, including the death of a peaceful counter protester. We are surrounded by these ongoing reminders of the fault lines on which our country was founded. As difficult as these events have been for everyone here in Charlottesville, I am proud of the way that our school has leaned into related issues. From the day we first gathered as a faculty on August 15th to begin processing and preparing for the arrival of our students, right up through recent months, this work has included: Re-screening the film I’m Not Racist…Am I?, studying the history of slavery through a visit to Montpelier with our junior class, hosting a student-led teach-in day on the criminal justice system, offering a workshop for parents, teachers and students with Dr. David Campt, creator of the White Ally Toolkit, investigating the history of slavery on our own school property in our African-American Studies class, and holding a student-led diversity summit for regional schools with the theme of “Extending the Olive Branch Through Communication, Collaboration and Equality.” Our student-led workshops included offerings such as The Power of Colloquial Language, Institutionalized Racism, Implicit Bias: Dealing with Subconscious Stereotypes, and Everyday Whiteness: The Unspoken Nature of Cultural Racism. There is so much learning, healing and growing that we all need to do locally and globally. 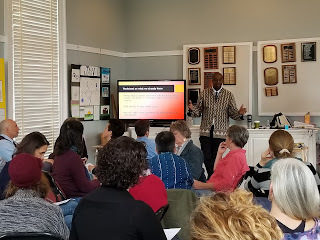 If we want our students to grow into the world as people who can make change, we need to engage together in the messy work of leaning in, listening to understand, sharing truths, making mistakes, failing together, carrying truths into the world, finding broader forums for dialogue, and more. We also need to show our willingness and ability to be changed, as we were last year when a junior on our volleyball team felt moved to turn her back to the flag before a game, causing league-wide consternation and threats of the school's removal from our athletic conference. We also need to give our students platforms from which to do this work. So often in schools, our work is about building pathways that support the kinds of opportunities we want our students to pursue. This year, two of our seniors have taken hold of just such a platform through our Senior Project. One formed a group of local teenagers, CLOUT, who want to lead change and bring people together across difference. The other joined a local program called the NewGen Peacebuilders through which she created an art therapy program for homeless women in Charlottesville. On a national scale we’ve seen students all over the country faced with the unfortunate task of working to lead change around the gun violence that continues to tear away at feelings of trust and safety needed in our schools. This is just one example of world events giving our students a catalyst and platform from which to lead change. I am proud of the way that I see my students and their peers at other schools locally and nationally doing just that. No doubt those two 7th graders who sat for our school-wide screening of I'm Not Racist… Am I? were confronted with the truth that the racist structures in our society consistently benefit them and disadvantage their peers of color. Going forward, our job as a school is to keep community conversations going. As challenging as our work can be, we need to pursue change for the benefit of everyone in our community.